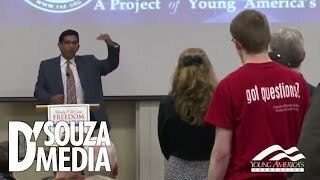 Join Dinesh D'Souza on Thursday, April 18, at the University of Minnesota for a special Young America's Foundation event. This event is free and open to the public! Identity politics won't save the Democrats. It will destroy them. 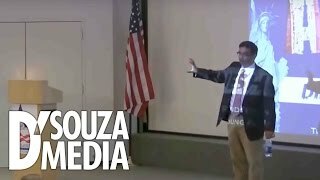 Who is the real enemy of free speech—Dinesh D'Souza for speaking on the Dartmouth campus, or the campus Left for trying to shut down the event? 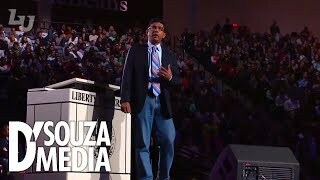 On Sunday, April 28, Dinesh D'Souza will be speaking at this historic BLEXIT conference, and he would love to see you there! Calling someone a racist over and over still doesn't make them a racist. 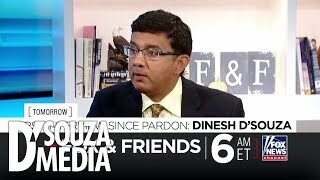 Hi, I’m Dinesh, a #1 New York Times best selling author and creator of the second highest grossing political documentary film of all time. 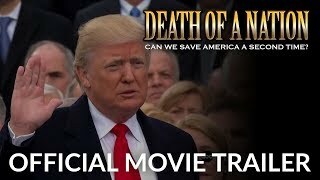 Death of a Nation reveals the Left’s dark past & proves once and for all that fascism and racism come not from Trump, but from the Democrats. Every day, I share information about what’s going on in the world and provide my ideas for restoring America. Connect with me to stay informed! Lincoln saved America from the Democrats for the first time. Can Trump—and we—come together and save America for the second time? TONIGHT, April 11, you can join Dinesh D'Souza for an exclusive livestream of his keynote address at the 2019 AMAC Delegate Conference as he discusses this and more! Use the arrows to scroll through my most popular videos, then click one to watch. To stay up-to-date on my newest interviews, debates, lectures, and sneak preview videos, subscribe to my channel on YouTube. Reproductive women’s rights. That’s what they’re calling it these days. It has a much better tone for what abortion clinics are actually selling. I’m one of the 60 million women since Roe v. Wade who exercised my “reproductive right” to choose over 30 years ago when I purchased my own abortion for $350. When I… The post ‘Unplanned’ Was My Story Too, So Now I’m Speaking Out appeared first on The Western Journal. As the border crisis continues to dominate the national conversation, it’s become clear that the true immigration debate is between patriots who wish to preserve their nation — and open borders advocates who would have us sacrifice American blood and treasure to increase corporate profits. Writing in USA Today on Monday in response to comments… The post The Simple Choice in Iowa: Farmhands or Criminals? appeared first on The Western Journal. The Trump administration plans to hire longtime Fox News personality Monica Crowley as a spokeswoman for the Treasury Department, according to multiple reports. “Crowley will join the staff of Treasury Secretary Steven Mnuchin as assistant secretary for public affairs,” the Washington Examiner reported Wednesday. The conservative commentator will replace outgoing spokesman Tony Sayegh, who is slated… The post Reports: Trump Administration To Hire Fox News Personality Monica Crowley for Treasury Job appeared first on The Western Journal.